Jodi Picoult just might be woke af. While reading her latest, I realized that she didn't write this book for me or any other person of colour that's the victim of daily microaggressions from well-intentioned friends, coworkers, family members or perfect strangers. Jodi Picoult wrote this book because she finally gets it. 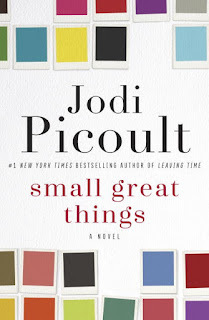 Small Great Things, as all other Picoult novels, tells a story from the points of view of several characters. In the past, her books have touched upon teen pregnancy (The Pact), a child birthed specifically to save her older sister (My Sister's Keeper), a former Nazi soldier hiding in plain sight (The Storyteller), and a number of other topics. What I've always admired, and sometimes been annoyed by, is how deeply Picoult is willing to delve into a topic. It's obvious that she did her homework before tackling race in her latest. Ruth Jefferson has always played by the rules. As a black woman born and raised in Harlem, she's always fought to be an exemplary person. More importantly, an exemplary black woman. While her sister resisted that role, Ruth excelled first in public school, then in private school. Years later, she's a graduate of Yale Nursing school. Within the cocoon of campus, she's a brilliant student, period. Outside of that bubble, she's the black woman on the bus that white people look past when searching for a seat, even though there's usually one available next to her. Carrying her Yale coffee cup around acts as her shield, a notice, if you will, to the rest of the world that she's a safe black person, she's not like those other people. Turk Bauer doesn't like blacks, Jews, lesbians, Asians or anyone else that isn't a straight white person. Once upon a time he might have tolerated them, but his upbringing and subsequent events changed that. When he and his wife, white supremacists, give birth at a local hospital, he's already on edge worrying about their newborn son. His anxiety is only magnified when Ruth Jefferson walks into their room. And what happens next becomes Ruth's wake up call. Black is black is black. Kennedy McQuarrie fancies herself a liberal at heart and defender of the defenseless. When Ruth's case falls in her lap, Kennedy refuses to believe that race has played a part in Ruth being charged and arrested. She refuses to believe race has anything to do with Ruth being the only nurse of color in her unit with seniority who has only been promoted once in 20 years, despite her glowing reviews. And she refuses to believe that the hospital has thrown Ruth under the bus because of her color. Kennedy refuses to see race in anything simply because she doesn't have to. And that gets right to the heart of Picoult's point. As a black woman, it can be exhausting trying to explain microaggressions to people that don't notice or claim not to notice them. Being followed around stores, the look of surprise when someone you've only talked to on the phone realizes you're black when you see them in person, the assumption that you got into an institution simply because of your color - Picoult hits on all of these things and more as Ruth becomes Kennedy's personal guide to what day to day life looks like as a person of color. Ruth teaches these lessons not because they're fun, but because she's fighting to save her life. 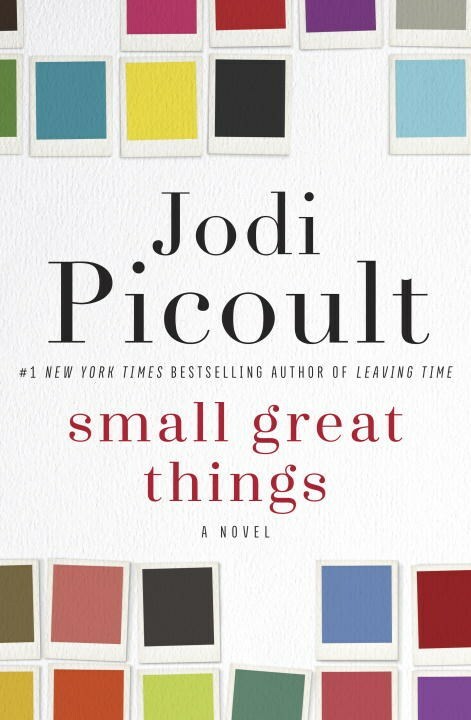 It's been awhile since a Jodi Picoult novel has hit so close to home, and I've read almost all of her books. As I said earlier, though race plays a huge role in Small Great Things, she didn't write this book for me. Those things that Ruth experiences, that's my daily life. More than anything, Picoult wrote this novel to open the eyes of those people that don't know this experience, white people in particular. I can only hope that those people that need to learn and understand how their actions and interactions affect others read it and take it to heart.